Environment chiefs have claimed they were denied access to land earmarked for a world-class golf course in the Highlands when they last surveyed the area. The Press and Journal exclusively revealed yesterday that plans for the development at Coul, just north of Embo, were hanging in the balance because the site could be inhabited by Fonseca’s seed fly. The species is listed in the UK Biodiversity Action Plan and there are fears it could become extinct. Business leaders and many local residents are relishing the prospect of new jobs and an influx of tourists to the area if the multimillion pound golf resort plans proceed. 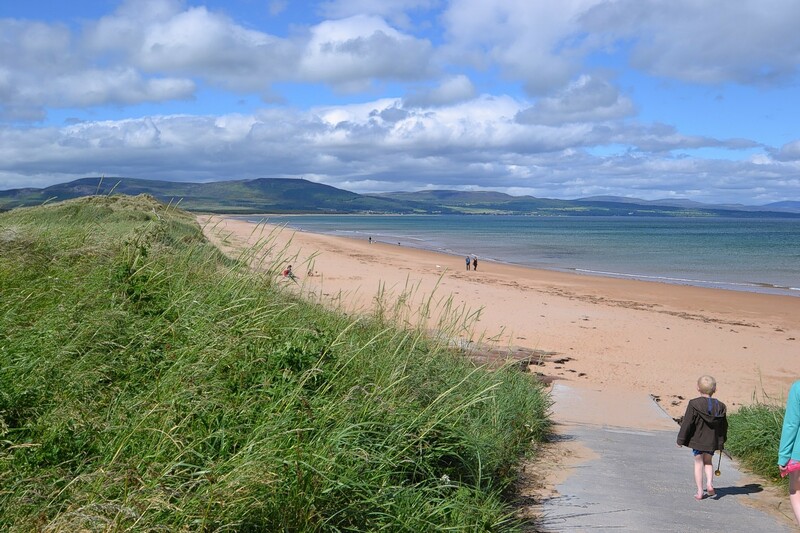 But following public consultations last week in Embo and Dornoch, conservationists have called for surveys for the fly, which they say is only found in the dune system on this particular stretch of coastline, and no-where else in the world. The site, which borders the North Sea and Loch Fleet, is in a special protected area and has designated sites of special scientific interest. A Scottish Natural Heritage spokesman said: “We were denied access to Coul Links at the time of the survey for this rare Fonseca’s seed fly. As the dune habitat is suitable there, we suspect this fly is present. “Therefore, we have advised that surveys should be carried out as part of the Environmental Impact Assessment to assess any potential impact to Fonseca’s seed fly from the proposed golf course development. “We are led to believe surveys are in progress. “We wait to see if this rare fly is present and will advise on any potential impacts to this rare fly and its sand dune habitat”. Yesterday Coul Links landowner, Ralph Abel Smith, could not be reached for comment. The 805-acre golf course proposals are being co-led by award-winning golf course developer Mike Keiser, for Bandon Dunes Golf Resort, a famous golfing venue in Oregon, America. Chicago-based Mr Warnock and his wife Liz have already invested hundreds of thousands in Dornoch in Links House and the Carnegie Courthouse. Proposed facilities at Coul Links would also include a practice area, clubhouse and pro shop and a caddyshack. East Sutherland and Edderton councillor Jim McGillivray, who lives in Embo, said: “The context is that the state of the Highland economy is dire and the state of the Sutherland economy is even worse. I think we have to look very carefully at offers of capital investment”.